After a nice vacation in Germany, we are home and getting back in the swing of life. I’m in the midst of finals, one ever 2 weeks for the next 6 weeks, so there still won’t be a ton of posts right now, but I’ll try to post as often as I can. Before we left I made a couple of last minute things for the trip. 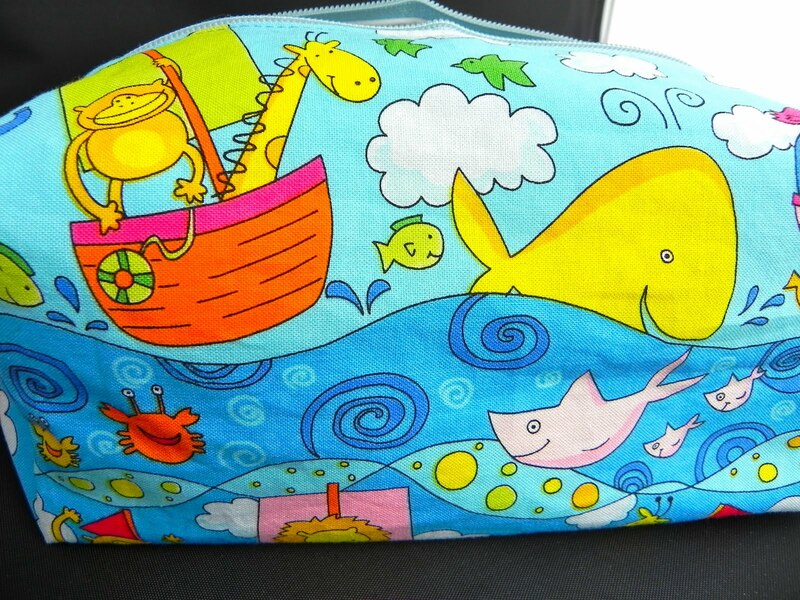 I made Little Bit this box bag for his toiletries. 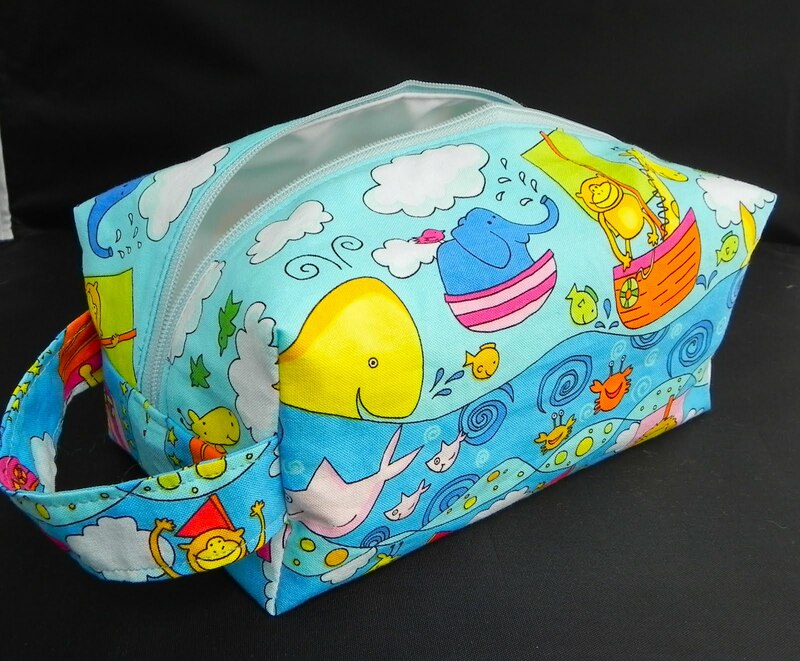 It is made with some super cute kids prints from St. Jude’s and lined in white PLU. 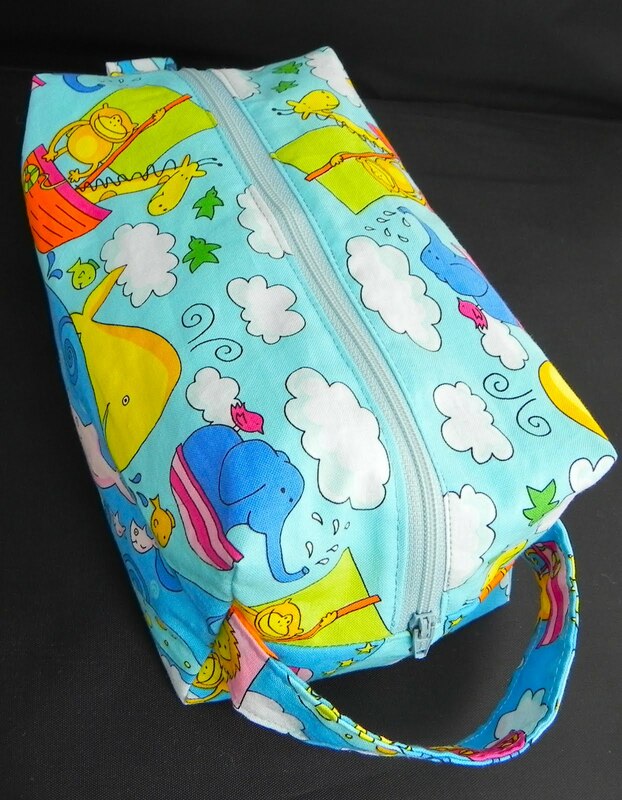 It also matches his large wetbag which we used for a laundry sac while traveling. I also made myself a small box bag for my crochet hooks and sewing bits and bobs. It came in quite handy! I is interlined in fusible fleece, which gives it a bit of structure and it helps keep sewing needles from sticking through! This entry was posted in hand sewing, Travel. Bookmark the permalink. Oh these are awesome. 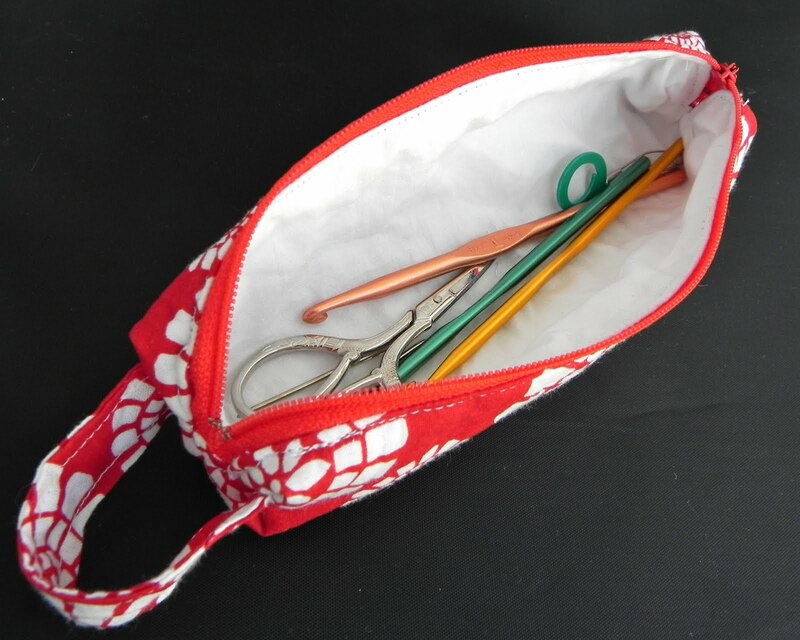 I love the fabric you've chosen for each bag…to tell the truth, I need to make one of these bags for my crochet needles too… and oooh, I can make a nice long one for my knitting needles too. Thanks so much for sharing! Thank Sabina! :) I think one for knitting needles would be wonderful! Thank you Sandy. And I'll post a link to your blog shortly. :) Thanks!